Investors were taking a cautious approach on Monday after Friday’s steep slide in stock indexes, with shares down in Toronto and mixed in New York. Investors were taking a cautious approach on Monday after Friday's steep slide in stock indexes, with shares down in Toronto and mixed in New York. At the close, the TSX was down 23 points at 16,065, with heavily weighted energy shares pulling the market lower. On Friday, the index had its worst day of 2019, losing 155 points because of fears of a global slowdown. 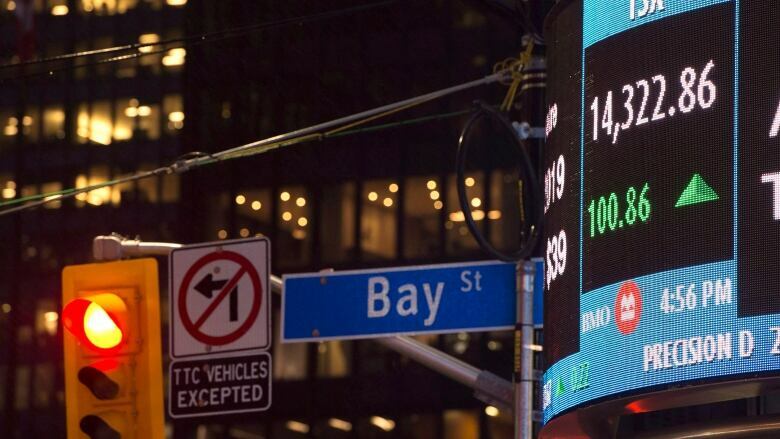 The TSX remains up 12 per cent on the year. Weak manufacturing data from Europe and the United States had investors nervous, coming on top of the Fed's guidance that it may not raise rates again this year. Some market observers are predicting it may have to cut rates. Concerns heightened after the yield curve, or spread between the U.S. three-month and 10-year notes, inverted for the second day, a signal that could mean a recession in store. In Japan and Europe stocks fell Monday in response to the North American selloff on Friday. The price of oil recovered from its early dip. That helped buoy the loonie, which ticked up slightly at 74.6 cents US, while the greenback slid against other major currencies. West Texas Intermediate crude was almost unchanged at $59.06 US a barrel. In New York, the Dow index was up 14 points at 25,580, but tech stocks were lower, with the Nasdaq down five points at 7,627. There was a general slide in tech stocks with chipmaker Micron Technology dropping 2.8 per cent and Apple falling even as it announced a suite of new products. There is uncertainty on the horizon with talks about the tariff war between China and the U.S. resuming Thursday.